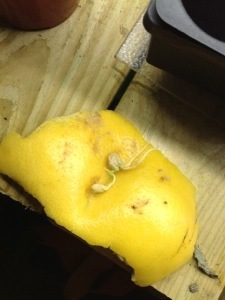 Last spring, as I ate a grapefruit I noticed the seeds inside it had begun to sprout, right in the unlikely climate of the citrus fruit. 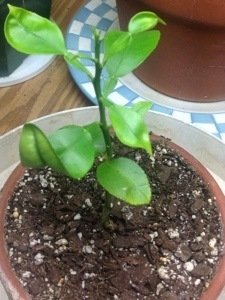 After soaking the seeds for a day or two, I potted them up and found space for them in my indoor garden. 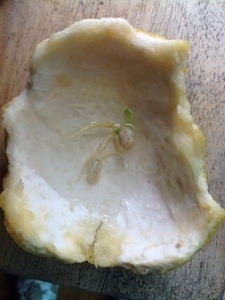 Today the seeds have formed into little grapefruit trees. By late February, all the tropical plants and cacti in my indoor garden begin to need more frequent watering, and larger quantities of water each time. 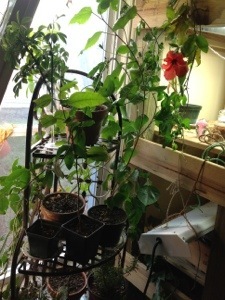 Indoor gardening is an effective method of bringing the fun of outdoors and summer gardening to the winter.